Haringey Welcome was thrilled to see an audience of around 150 people, of all ages and backgrounds, at our All Welcome! 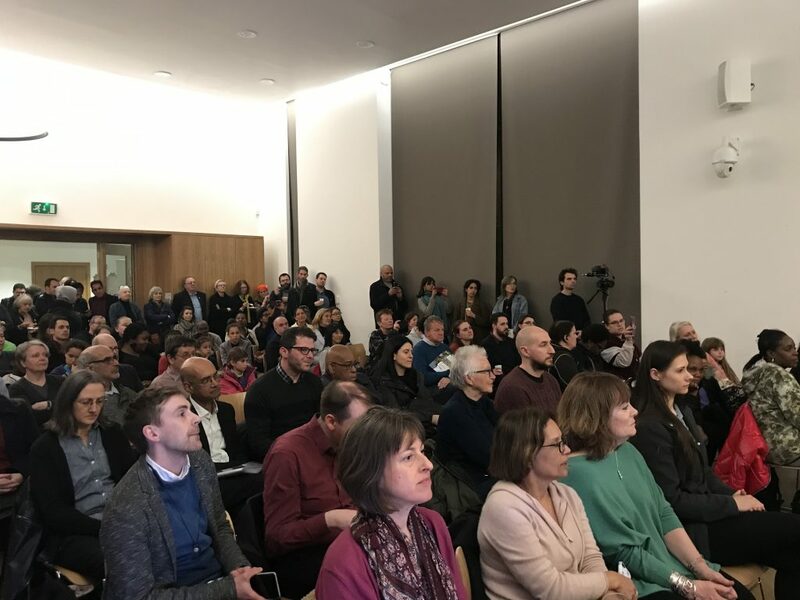 last night, 26 March: an evening of music, drama and debate to celebrate the unique diversity of our borough, and to state together our opposition to the government’s Hostile Environment policies. 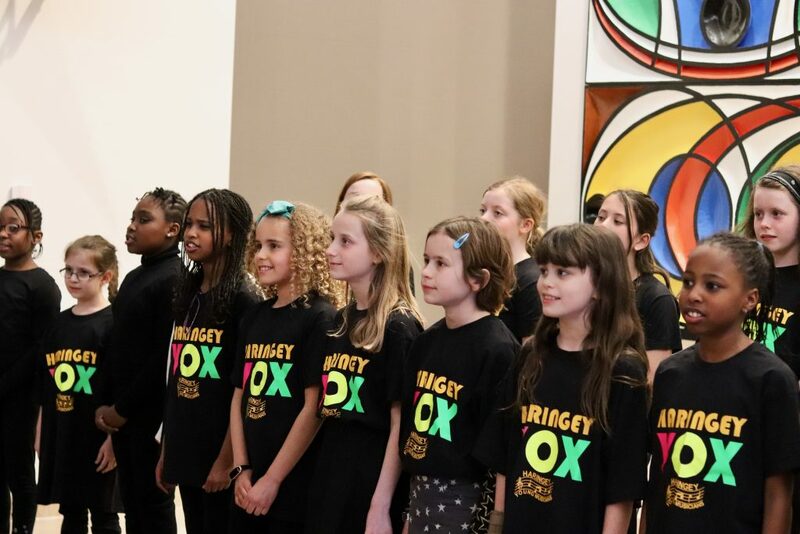 First to celebrate with us was Haringey Junior Vox, the choir made up of primary school students from across the borough. 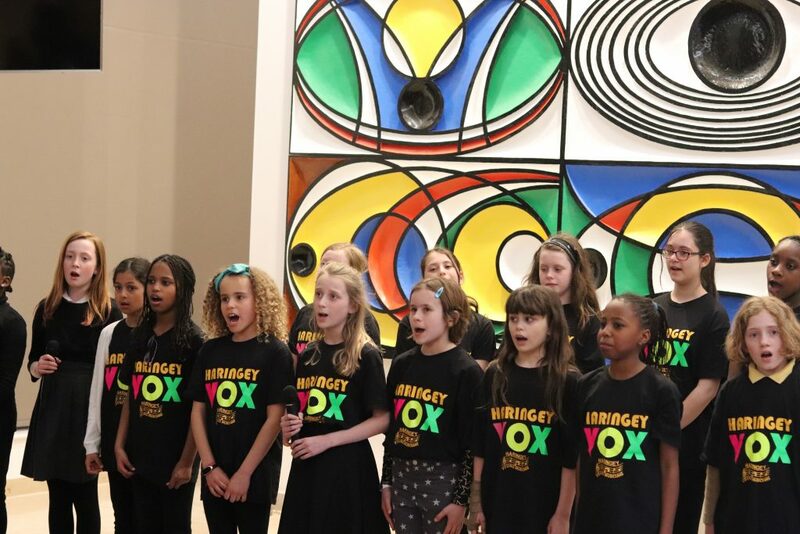 The choir raised the roof of the Engine Room at Tottenham Hale with their songs, culminating with the moving and powerful Home. Haringey Welcome member Dr Leah Bassel then welcomed all, and passed the mic to Councillor Julia Ogiehor. Cllr Ogiehor gave a brief account of the Welcome motion, drafted by Haringey Welcome, that she proposed at the full Council meeting on 27 November 2018, and which we were thrilled to see passed unanimously. The motion spells out the whole Council’s firm intention to ensure that Haringey is truly welcoming to all its residents, and to oppose the Hostile Environment policies which threaten the wellbeing and cohesion of our communities. 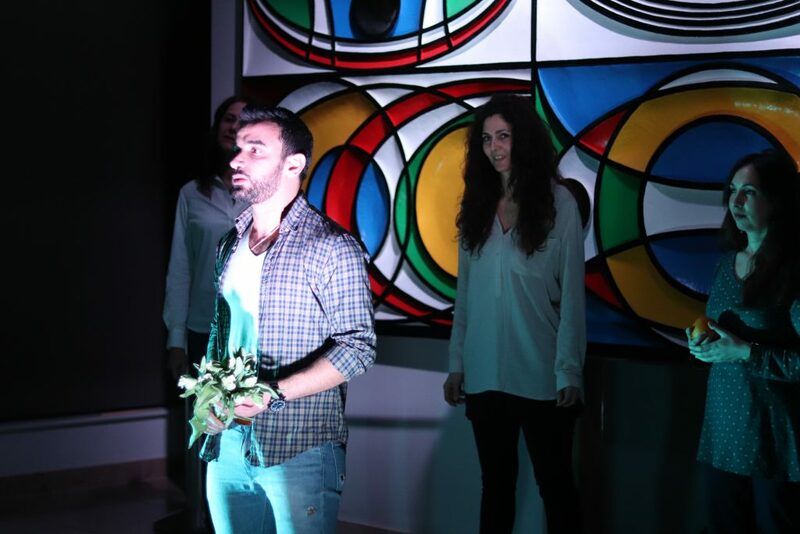 Song was followed by theatre: My Name Is, an extraordinary performance devised and acted by a cast of seven, all refugees or migrants themselves, with the support of Legal Aliens theatre company and Migrants Resource Centre. The packed audience found the dramatic rendering of migrant and refugee experiences both moving and enlightening. 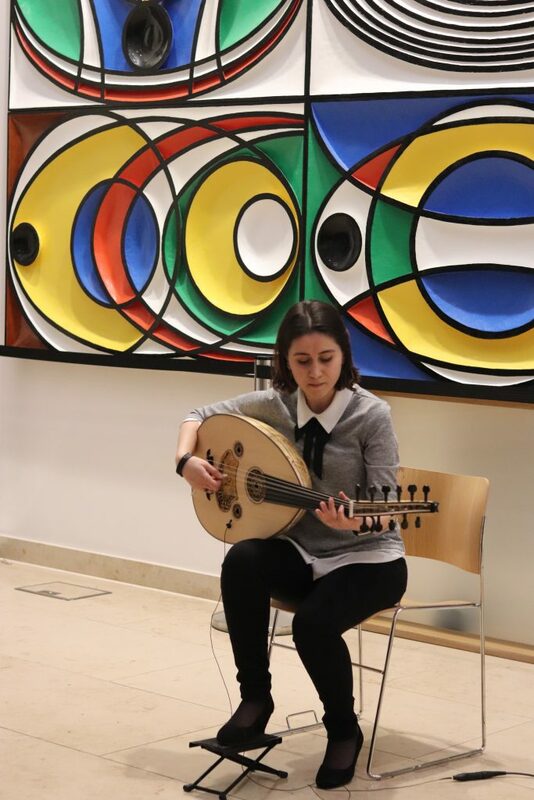 Some Haringey Welcome supporters may remember the brilliant Syrian oud player Rihab Azar, from an event we held in 2016. We were very fortunate that Rihab agreed to play for us again last night. Her delicate and subtle playing was the perfect counter-balance to the intensity of the drama before it. Our evening ended with a panel discussion and question and answer session. Leah began with an outline of the work of Haringey Welcome. Cllr. James Chiriyankandath, Gracie Bradley, Rockhaya Sylla. Our two local MPs, Catherine West and David Lammy had hoped to take part, but Brexit debate meant that both had to send apologies. 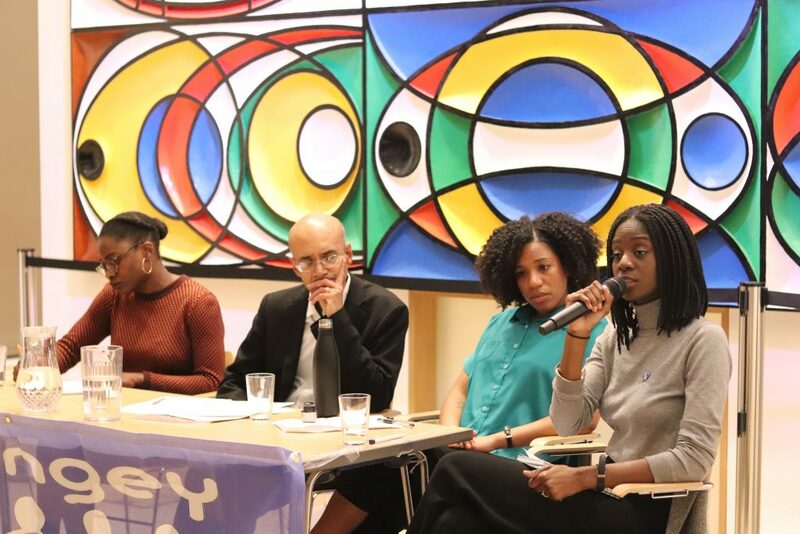 The panel, ably chaired by Akram Salhab from Migrants Organise, consisted of Gracie Bradley from Liberty, Cllr James Chiriyankandath, Cllr Ogiehor, and Haringey Welcome member Rockhaya Sylla Safavi, herself a migrant and vocal migrant rights campaigner. Discussion centred around the Hostile Environment policy, and its impact on people in Haringey. A number of audience members outlined their experiences: living on £200 per month (in Haringey financial support is given only for children, not for the parents); children with special needs not being assessed; the social and psychological impact of migrants being prevented from working. Cllr Ogiehor spoke movingly about her mother’s struggle to gain settled status, and the impact on the whole family. Gracie emphasised the recent legal victories over hostile environment policies, and outlined how people could get further involved. She congratulated Haringey Welcome on being the first campaign to oppose the hostile environment as a whole, and pointed out that the problem wasn’t that the policy targeted the wrong people, such as the so-called Windrush generation, but that it targeted anyone at all. Cllr Chiriyankandath reminded us that the Council is committed to auditing its services to minimise the impact of the hostile environment, and is looking at good practice in other boroughs. Joining Haringey Welcome at the Engine Room were local and London-wide organisations Migrants Resource Centre, Praxis, St Ann’s Redevelopment Trust, Haringey Migrant Support Centre, Living Under One Sun, North East London Migrant Action and Maternity Action. Each had a stall setting out their work, and a chance to engage audience members in discussion. 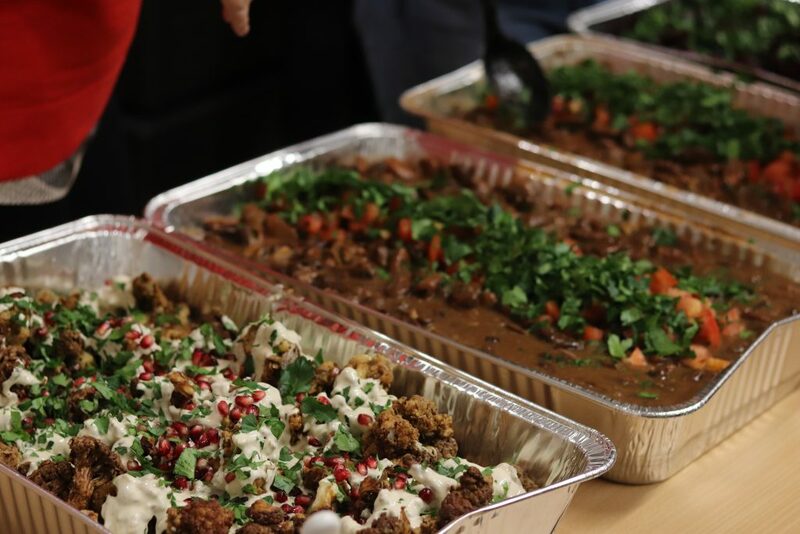 Delicious Syrian food was provided by Marhabtayn Syrian Supper Club, whose members have also set up the Welcome Committee, dedicated to resettling Syrian families in London. 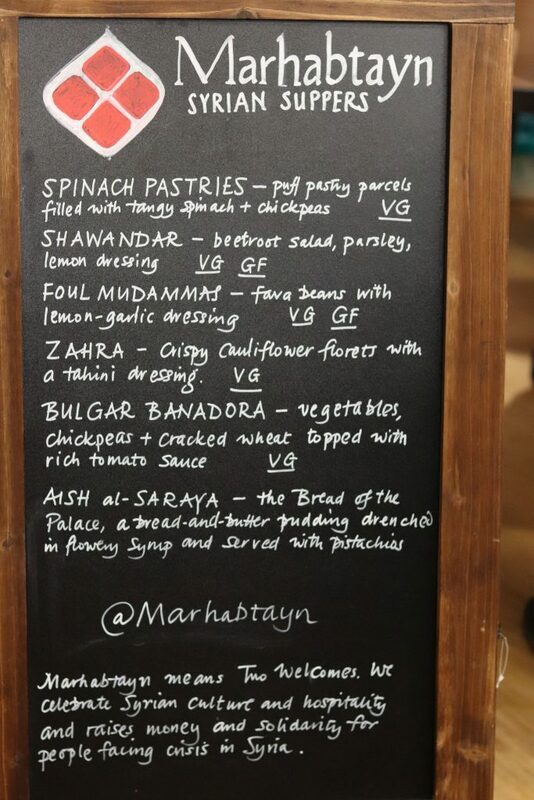 Delicious food provided by Marhabtayn Syrian Suppers. Haringey Welcome continues to work to ensure that all our neighbours are equally welcome. We are delighted that the Council has endorsed this aim, and we look forward to seeing it turned into practical results throughout Council services. 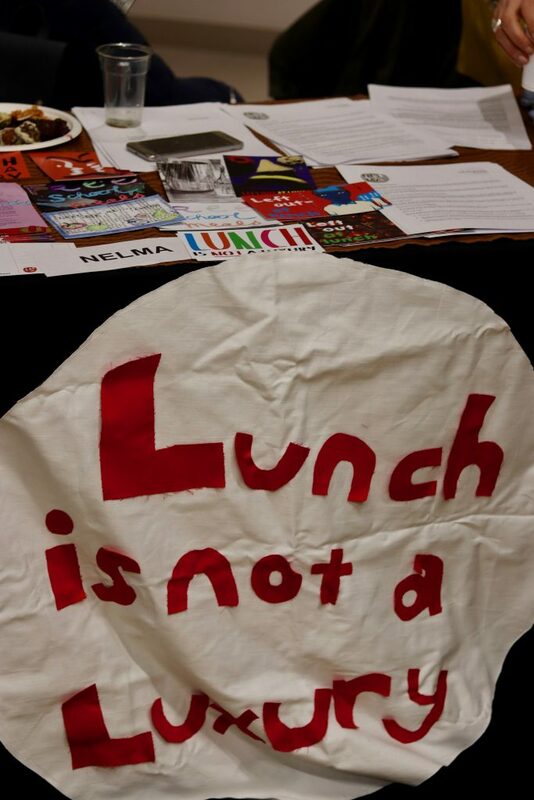 At the same time we are working to raise awareness of the issues around welcome and inclusion. We look forward to another year of campaigning and celebration.